Freedom and Flourishing: Why was Northern Ireland a highlight of our tour of the British Isles? 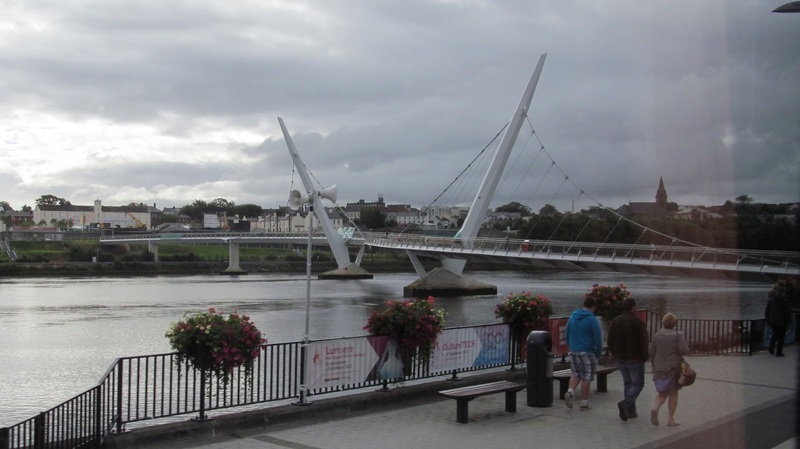 Why was Northern Ireland a highlight of our tour of the British Isles? There were many highlights of our recent tour of Britain and Ireland, but the visit to Northern Ireland will stick in my memory. 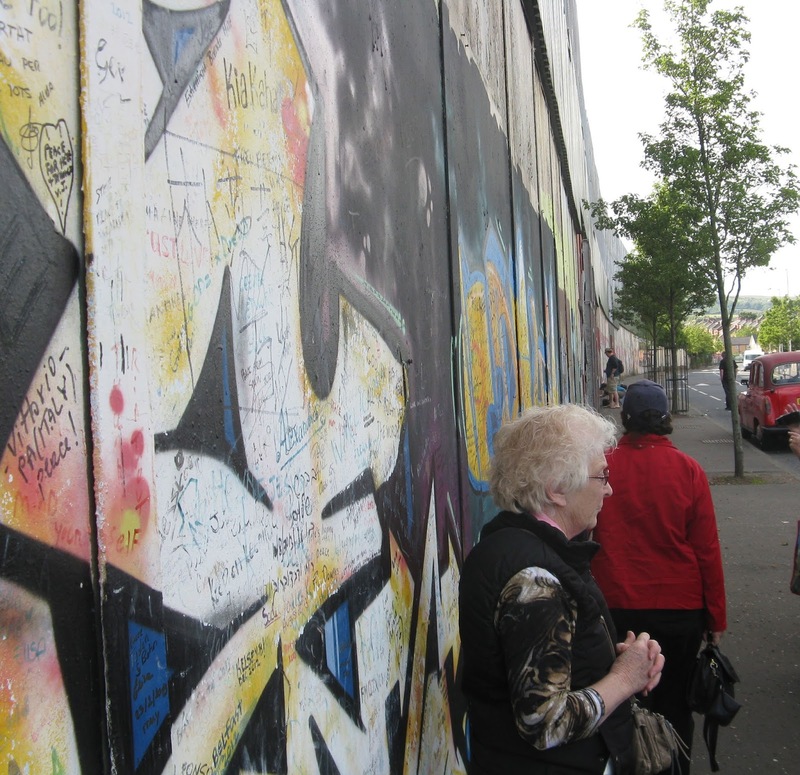 Before we went there I knew that it was now a safe place for tourists to visit, but I had not grasped how much the conditions of life of the people who live there have improved since the Good Friday agreement was signed 15 years ago. My first surprise was that crossing the border from the Republic to Northern Ireland was less noticeable than crossing from England to Wales. If we had not been told to look out for a change in the colour of the lines marking the edge of the road, we would not have known that our bus had crossed the border between the Republic of Ireland and the United Kingdom. As expected, you don’t have to drive far in Northern Ireland before seeing evidence of division, with some communities displaying the Union Jack and others displaying the flag of the Republic. There are also plenty of murals, like this one, to let you know the feelings of the local communities. However, people seem to be able to travel freely. Apparently it has become common for Protestants living in Northern Ireland to take a drive into the Republic. They have an incentive to do this because fuel is cheaper in the Republic. That is probably attributable to some kind of regulatory distortion, but it is nevertheless a hopeful sign when people put aside their prejudices to take advantage of economic opportunities. Ronan McNamara, our local tour guide in Derry, or Londonderry (if you prefer), gave us a message of hope. He suggested that the vast majority of people in Northern Ireland now just want to get on with living their lives and leave sectarianism behind. 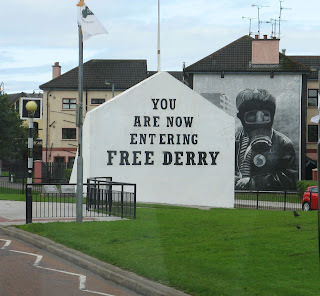 We saw some symbols of hope in both Londonderry and Belfast. The Peace Bridge is a cycle and footbridge across the River Foyle in Derry, which opened in June 2011, to improve access between the largely unionist 'Waterside' and the largely nationalist 'Cityside'. The so called ‘peace walls’, built to separate the Protestant and Catholic communities in Belfast, are still very much in evidence and the gates are still closed at night. But the black cab drivers take tourists to see the murals on both sides of the walls. 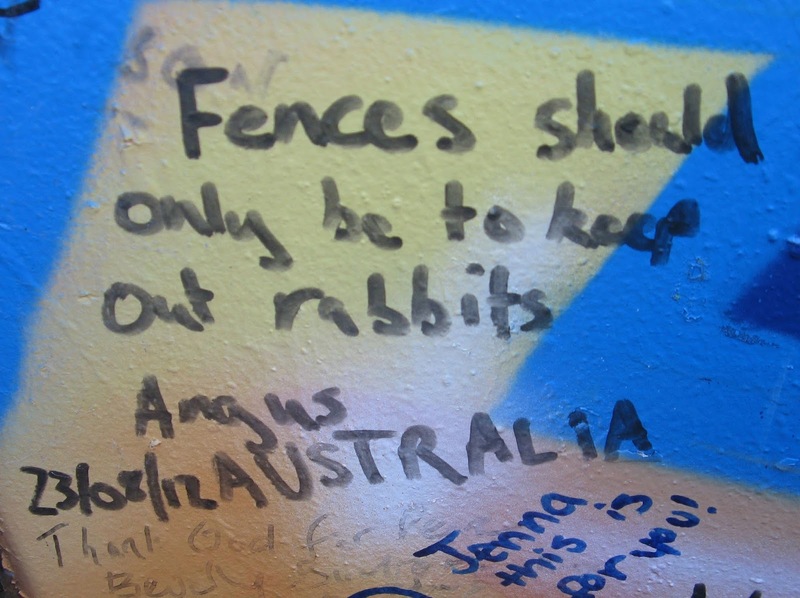 We were encouraged to add our messages to one of the walls. I was impressed by the message left by Angus from Australia, last year. The message I left would come as no surprise to regular readers of this blog. Our trip to Northern Ireland has left me with a somewhat different perspective on the ‘troubles’ in Northern Ireland. I had to visit Belfast before I fully appreciated that the ‘troubles’ were the last smouldering embers of ongoing sectarian violence that has infected the British Isles since the dissolution of the monasteries during the reign of Henry VIII. It will help me to make the point if I present a couple more photos taken in Northern Ireland in historical context, relating to other things we saw as we travelled around the British Isles. My efforts in doing this have been aided by the gruesome stories of warfare that our travel director, Paul Murphy (from Glasgow), told us as we travelled though the peaceful countryside of Britain and Ireland. 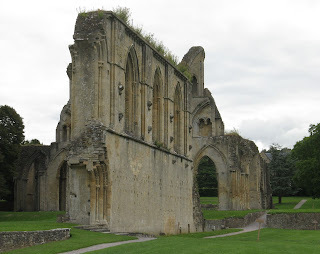 The ruins of Glastonbury Abbey are an appropriate place to begin. Before Glastonbury Abbey was closed by Henry VIII in 1539 it was one of the largest and most famous English monasteries. The dissolution of monasteries combined revenue-raising with religious persecution as buildings and other assets were seized by the Crown, to be sold off or leased, while monks and nuns were dispersed. Now, fast forward to 1623 and the reign of James I. Although James was tolerant toward loyal Catholics, he decided that the best way to subordinate the people of Ulster (which was the last part of Ireland resisting British rule) was by colonising the area with Protestants from England and Scotland. Part of this colonisation involved building the heavily fortified city of Londonderry, so named because of investment from the City of London. The city walls are still intact despite the siege of 1689. 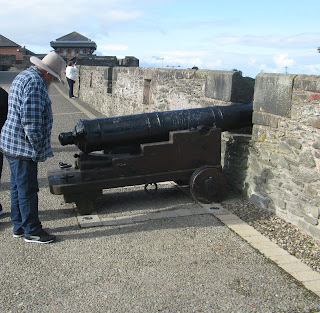 Before we can discuss the siege of Derry we need to skip past the English civil war, Oliver Cromwell’s suppression of the Royalists in Ireland, which led to confiscation of land owned by Catholics in Ireland, and the restoration of the monarchy which brought James II, a Catholic, to the throne. Although James II showed some degree of religious tolerance, influential members of Parliament became increasingly concerned about his religious beliefs and his close ties with France. So they brought about the Glorious Revolution of 1688, which involved Parliament inviting William of Orange to ascend the English throne as William III of England, jointly with his wife, Mary II of England. I have previously suggested on this blog that the Glorious Revolution was an important milestone in replacing tyrannical government because it was followed by the Toleration Act of 1689, which gave formal recognition to religious pluralism and was an important step toward giving equal rights to followers of all religions. That is still my view, but some of my ancestors (those from Ireland) would have had some difficulty in accepting that the revolution brought about by William and Mary was glorious. James II fled to Ireland and assembled his supporters to begin undoing the Protestant land settlement. In April 1689 he presented himself before the walls of Derry - and so the siege began. After 105 days, however, Williamite ships allowed supplies into the starving town. William of Orange subsequently met James at the Battle of the Boyne and defeated him. 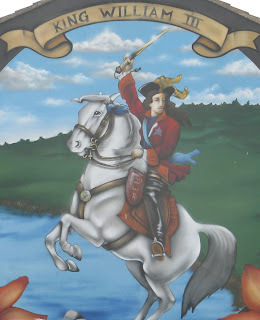 That is why we see William III portrayed prominently in this mural in a Protestant area of Belfast. Our story continues as the Williamite forces went on to control Ireland, with the exception of Limerick, which they lay siege to. 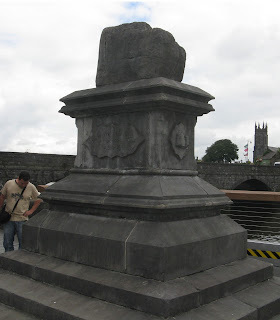 The Jacobite forces surrendered after the signing of the Treaty of Limerick, promising religious toleration among other things, on the Treaty Stone in the photo below. That might have been a good place to end this story, but the Irish parliament, representing landowners who subscribed to the (Anglican) Church of Ireland, dishonoured the Treaty. While Catholics were not prevented from practicing their religion, a series of penal laws prevented them from owning land, practicing law, holding public office and bearing arms. Catholics and Calvinists were also required to pay tithes to support the Church of Ireland. In 1745, on the other side of the Irish sea, the Jacobites led by Bonnie Prince Charlie attempted to take back the English throne. His army had some initial success, but he failed to obtain the English and French support needed to beat government forces. 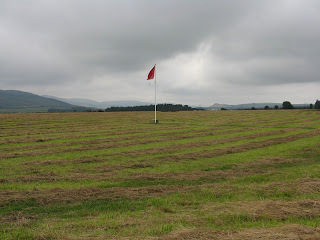 His army was massacred on the battlefield at Culloden, shown below. In the aftermath of Culloden, the Scottish Highlands were disarmed, Gaelic was banned and the wearing of tartan was made a hanging offence for a time. Discrimination against Catholics began to diminish from about 1760 onwards, in response to agrarian unrest in Ireland and the emergence of a reforming minority, urging greater respect for individual rights, among those in power in London. The process of granting equal rights to people of all religions occurred gradually in a series of steps and is still not complete. The Church of England still has links to the state and while citizens of the United Kingdom have freedom of religion, the sovereign does not have that freedom. One of the things I think we can learn from the history of the British Isles is that freedom of religion and respect for individual rights emerged as a kind of stalemate from a long series of conflicts. Those in power gradually came to accept that it was counterproductive to try to force people to change their beliefs or to discriminate against them because of their beliefs. They came to accept that suppression just led to rebellion at a later stage. When we travelled around the British Isles we saw a great deal of evidence that this was a very violent part of the world only a few hundred years ago. But without visiting Northern Ireland, this evidence would have seemed as though it had been planted for the benefit of tourists. Britain and Ireland are, for the most part, incredibly peaceful places where the vast majority of people are obviously willing to ‘live and let live’. It was good to learn that there are now strong grounds to hope that Northern Ireland will be able to stay on track to become as peaceful as the rest of Ireland and Britain.